The Sweet Spot Between Downtown and The U-District. Welcome to the sweet spot between Downtown and the U-District. A new vision is becoming a reality in Spokane’s University District. 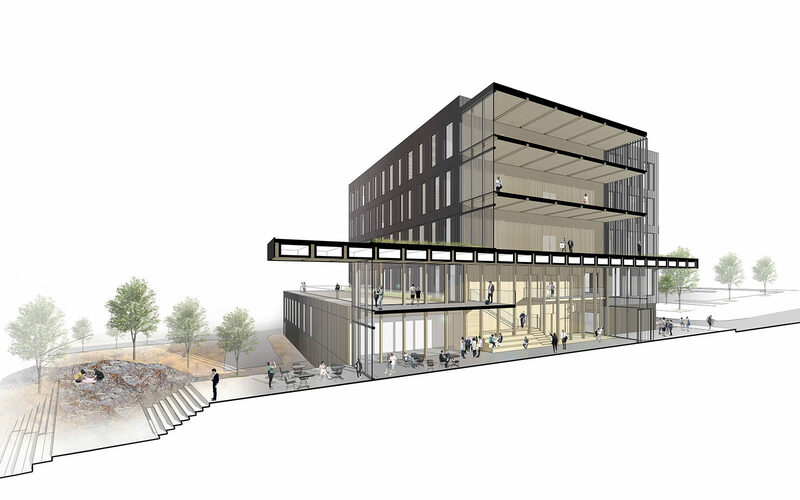 The new Catalyst Building will be a place where industry and academia intersect to foster innovation and collaboration. The Catalyst is the anchor building in a planned innovation hub. This dramatic five-story, 150,000-square-foot building will feature two wings around a light-filled collaborative atrium. Catalyst will host dry labs, offices, classrooms and common study areas. 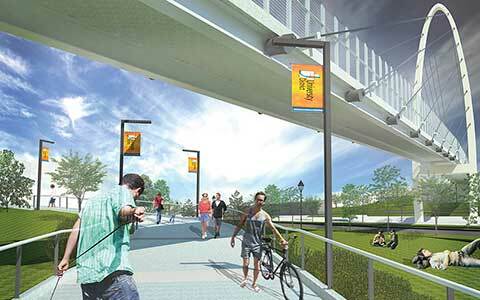 The Catalyst design team has emphasized sustainability as a core value. Catalyst will feature the sustainable use of Cross Laminated Timber (CLT), a mass timber building material made of laminated wood panels, for major structural elements. The building will reduce its environmental footprint by focusing on materials and construction methods that reduce energy use and prolong the life of the building. 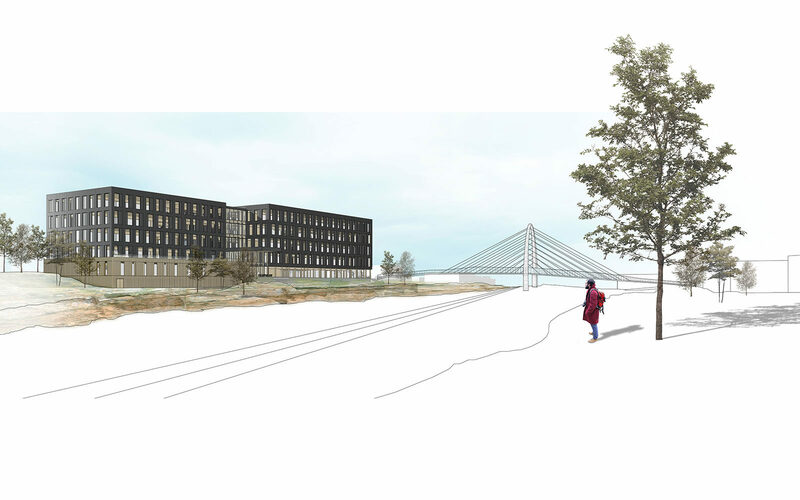 The new Catalyst Building will connect to Spokane’s growing University District by way of the Gateway Bridge, designed to accommodate pedestrians and cyclists. 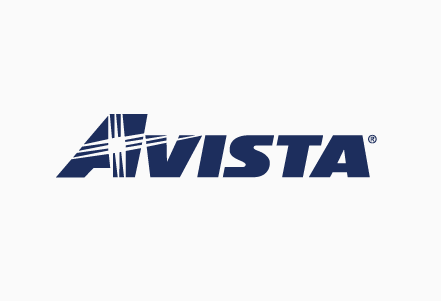 The Catalyst is a joint development of Avista Development and South Landing Investors, LLC, comprised of long-time McKinstry executives. Spokane is fast becoming one of the Pacific Northwest’s most sought-after business locations. The reasons are plentiful. Spokane offers a highly skilled, highly educated workforce. 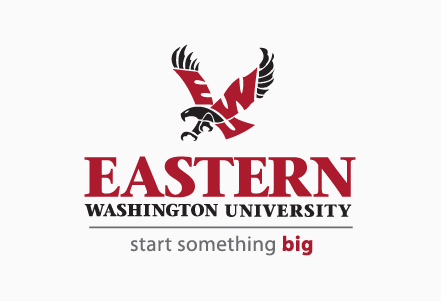 Several universities and the new Washington State University Medical School continue to graduate Millennials ready for tomorrow’s work force. The location on I-90 and major rail lines make the city a historic transportation hub. Also, Spokane’s mid-city size, lifestyle, reasonable cost of living, and housing are attracting an influx of the right kind of workers. Like many cities in the new millennium, Spokane faces the challenge of competing with the technology and professional capitals of the nation to attract and retain the next generation of highly skilled workers. 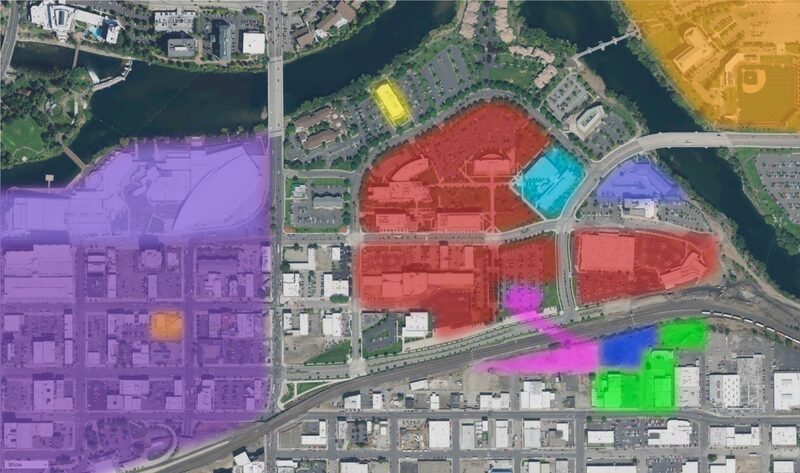 The Catalyst and University District will build an atmosphere of innovation to help attract the types of cutting-edge companies and organizations that are vital for the Inland Northwest’s next economy. This is a truly unique opportunity to leverage the fast-growing campuses and connect the University District with Spokane’s vital Downtown. Most of all, Spokane’s surroundings-the wide-open nature, rivers, mountains, parks, lakes and woods-add value that are not found in many parts of the country. We have included a number of links where you’ll find what others are saying about the future of Spokane. 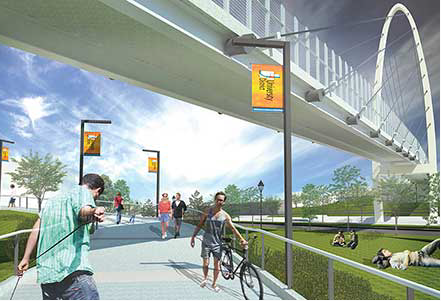 Currently under construction, this new bridge connects walker and riders with the South University District, Downtown and Riverfront Park. View the Macklemore Ryan Lewis video, “Downtown”, filmed in and around Spokane. Cross-Laminated Timber (CLT) is lightweight and very strong, with superior acoustic, fire, seismic, and thermal performance. CLT is also fast and easy to install, generating almost no waste on construction sites. It is now possible to create beautiful, durable, sustainable buildings using one of nature’s most renewable of resources. 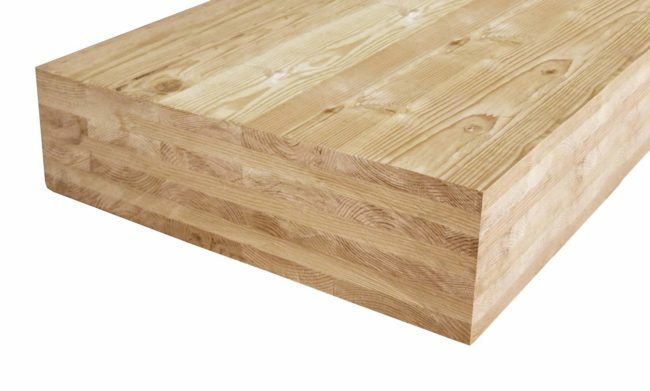 Cross-Laminated Timber (CLT) is a construction method that uses structural panels formed from layers of timber sheets very tightly glued and pressed together. CLT panels reduce or eliminate the need for much of the traditional poured concrete and steel that typically frames buildings of this size. Another advantage of CLT is that the panels can be precision formed and cut at a location closer to the source of the timber. 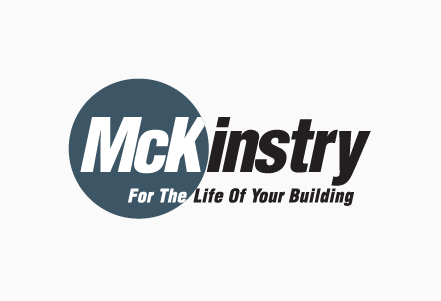 The panels form major structural elements of the building and, when delivered on site, can be quickly and efficiently fit together, greatly reducing the time needed to complete the building. This construction method also greatly reduces waste. The CLT panels utilized in the construction of the Catalyst Building will be sourced from local working forests, harvested using sound ecological practices, and manufactured at Katerra’s new plant in the Spokane Valley. By sequestering carbon within the structural wood products for the lifetime of the building, carbon emissions are avoided by substituting wood for products such as steel and concrete which are energy-intensive to produce. 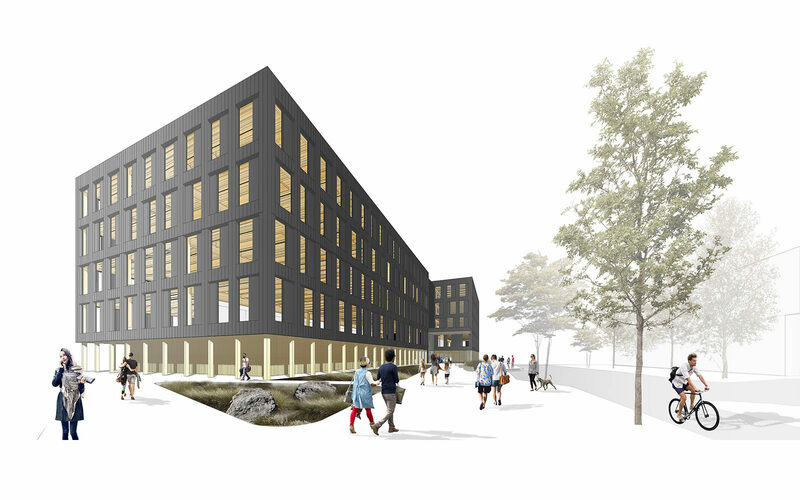 The project team estimates the South University District project will utilize 4000 cubic meters of CLT and glulam wood products. The mass timber in this project stores 3713 metric tons of carbon dioxide equivalent and avoids estimated emissions of 1437 metric tons of CO2, the equivalent to taking roughly 1100 cars off the road for a year. 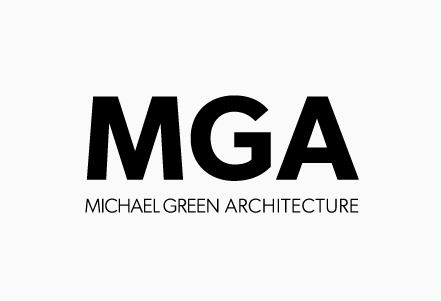 A further advantage to concrete or steel is the rapidly renewable nature of mass timber. According to the WoodWorks Calculator through the Wood Products Council, US and Canadian forests are capable of regrowing the equivalent volume of wood on this project in just 11 minutes. The lumber for the mass timber products that utilized CLT on this project will be sourced by Katerra from working forests that are harvested using sound ecological practices, and will be replenished for the next cycle of forest growth and harvested for use by future generations. 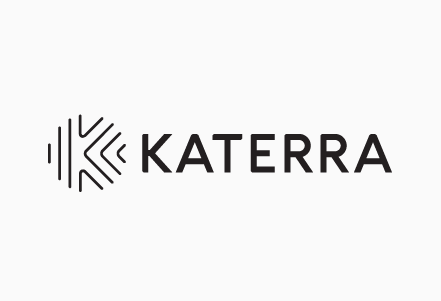 The wood will be sourced from Katerra’s forest and sawmill partners for manufacturing within their Spokane Valley CLT factory. 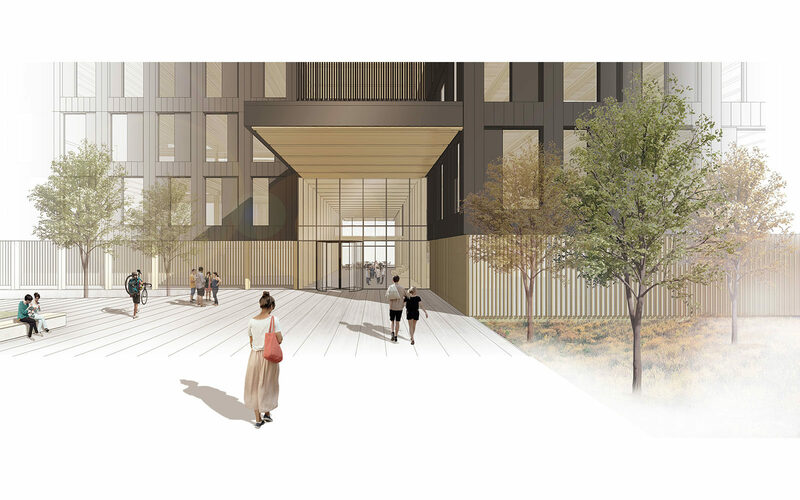 Cross-Laminated Timber means the Catalyst Building will have a smaller carbon footprint than that of comparable buildings built using steel and concrete. Rainwater recovery for gray water system inside the building. Efficient radiant heating/cooling system throughout the building. Heat recovery of all exhaust air. Playing a key role in creating a vibrant learning and innovation hub that will continue to be an economic asset to the City of Spokane. Please use this form to ask your questions about the Catalyst project or for leasing inquiries. © 2018 Avista and South Landing Investors, LLC. All rights reserved. Website Built and Powered by Fusion.